New Colombia boss Carlos Queiroz has revealed he’s set to watch Rangers striker Alfredo Morelos before he names his first squad. 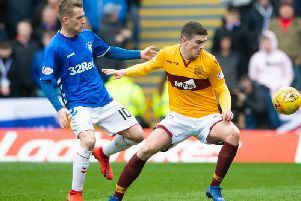 The 22-year-old has already netted 27 goals for Steven Gerrard’s side this season and grabbed four goals last week against Kilmarnock in the Scottish Cup. Morelos has only one cap for his country, which he got last year when he came on for the last 13 minutes in a 2-1 friendly win against Venezuela. Former Real Madrid and Portugal boss Queiroz took over as manager of the South American nation earlier this month. He’s on a tour of Europe to look at some of his players at the moment and watched James Rodriguez play for Bayern Munich on Saturday and Carlos Bacca feature for Villarreal against Atletico Madrid. And he’s vowed to watch Morelos too. Queiroz said: “It’s very important to watch and speak to my European-based players and I intend to do that. “There are others I want to see too like David Ospina from Napoli, Radamel Falcao at Monaco and Alfredo Morelos at Rangers. Colombia will embark on a tour of Asia next month, with a Kirin Cup clash with Japan and a friendly against South Korea in Seoul. They face Argentina, Paraguay and Qatar in the Copa America in Brazil in the summer.